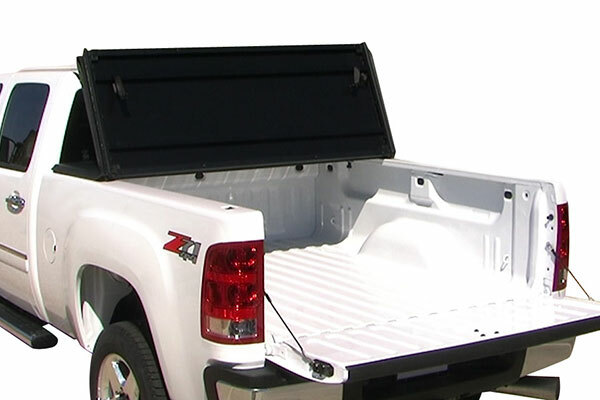 Our TonnoPro Tri-Fold cover is unmatched in quality. It features tear-resistant double sided vinyl, and a 6063 grade powder coated frame – both are covered by the industry's best warranty. 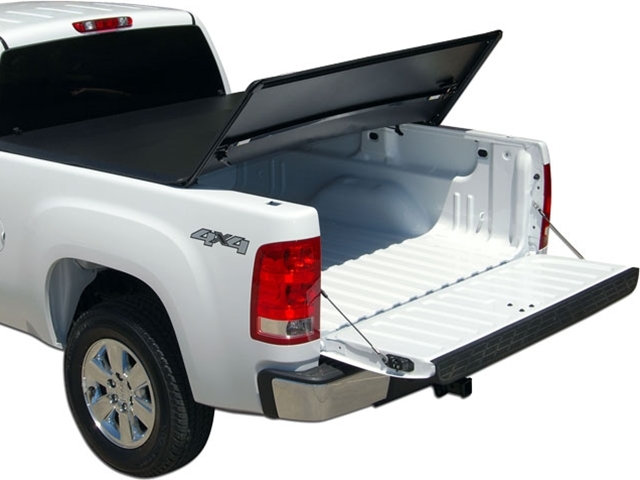 Not only does the TonnoPro Tri-Fold provide you the protection and functionality you need, but it does it with our Low Profile Styling that will look great on any truck! Plus, it can save you gas and keep your truck looking great for years to come! Double Sided Vinyl with our proprietary black textured finish is tear-resistant and made from 24oz. material which is the highest standard in the industry. 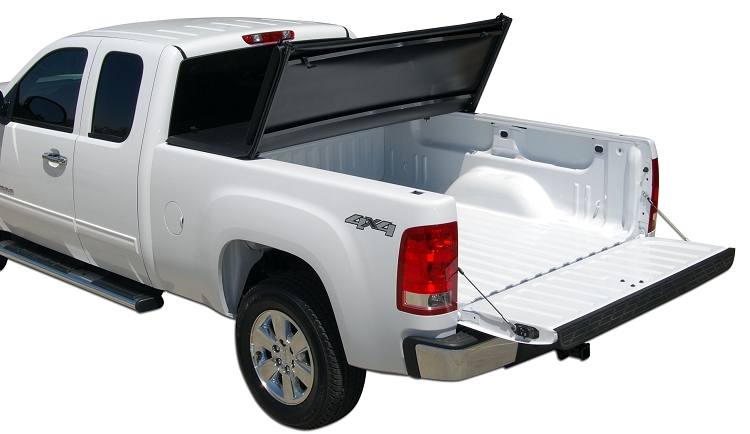 Snap Clip style fastening system allows for safe and easy storage in the open position. Unmatched and Industry Leading Warranty on the Frame, Clamps and Cover.